Another American city recently became famous, but for the wrong reason. You and I have once again been reminded that demons of violence aren’t just occasional visitors. They have the uncanny ability to establish strongholds. And not just in war zones on the other side of the world. The same demons, who delight in generating international chaos, have also been invited to entrench themselves in our communities, and even inside of our own homes. It’s time to fight back. There is no doubt, at least in my mind, that there needs to be a full-court press on figuring out what we, as a society, can do to demolish those strongholds of violence. While I myself am a gun owner, I also believe our country could find better ways to keep the wrong guns out of the hands of the wrong people. And, since we are again forced to deal with an unspeakable tragedy, that conversation has predictably cycled back around with renewed momentum. As students of history, however, we should probably expect the wheels of government to grind along at the same snail’s pace it always seems to, while each side of the aisle ramps up the rhetoric about how the other side doesn’t know how to lead. But there is some good news. We actually don’t depend on politicians nearly as much as they claim we do. Let Washington argue with itself about who deserves to get reelected. But, what do you say, we take the proverbial bull by the horns and move this country in a new direction ourselves? Let Washington argue with itself about who deserves to get reelected. But, what do you say, we take the proverbial bull by the horns and move this country in a new direction ourselves? Yep! It’s not only legal, it’s not that complicated. This is the simply reality. Every person wants to feel that they matter. Therefore, every person will find a way to matter. Especially a kid. Understanding that, I humbly offer a simple strategy for your consideration. Number one, pray for our kids. Not just your kids, but all of our kids. They should matter enough to us that you and I would spend significant time on our knees, asking God to lift this incredible fog of hatred that’s settled on our nation. If you’re too busy to do even that, then stop complaining. If you want to do something else besides pray, then that’s even better. But until you pray, that something else will not work. People tell me all the time that they pray for America’s children. But, when pressed for what that looks like, it’s clear that they seldom do. Our prayers are absolutely essential for national integrity. Prayer was disallowed in American public school classrooms when I was eight years old. Now, eight-year-olds are being killed by other students in those same classrooms. Second, let’s reinsert ourselves into our kids’ schedules. Maybe stop seeing personal media as a way to keep them occupied, while we pursue whatever it is that we consider more important than them. A study conducted at the Boston Medical Center was startling. When parents and caregivers had both a personal device and a child present, in 73% of the cases observed, their “primary engagement was with the device, rather than the child.” In many cases, the parents expressed irritation when the children tried to get their attention. It’s interesting to me that we even still call them cell phones. They were invented as cellular telephones because telephones had become culturally necessary and the cell version was a convenient upgrade. But what started as a telephone has evolved into a personal indulgence device, one that happens to make phone calls. And now family interaction has been severely crippled by a new addiction. If you want to keep claiming that you or your children are not addicted to media, just take your and your spouse’s cellphones, then confiscate your children’s devices, put them all in a locked closet for a while and purchase a device that only makes phone calls. (Actually, you’d save a lot of money.) If you’re not addicted to those machines, it shouldn’t be a problem, should it? But, if you experiment with this strategy, you might want to be prepared for what acute anxiety sounds like. Most parents would never leave their children with a babysitter they couldn’t trust. Since media isn’t a trustworthy babysitter, always remain vigilant. Most media execs worship only at the church of corporate profits and faithfully pay homage to their greed by manipulating millions of Americans into becoming their dependents. Most parents would never leave their children with a babysitter they couldn’t trust. Since media isn’t a trustworthy babysitter, always remain vigilant. Hollywood speaks out of both sides of their mouths. Then again, what do you expect from people who make a living by pretending to be someone they’re not. On the one hand, they fully embrace the platform that television and film give them to frame national attitudes. But they are the first to fully excuse themselves when the attitudes they help frame lead to destructive behavior. Only Jesus will put an end to abuse and violence. But, in the meantime, Hollywood, do you really want to turn a corner on sexual abuse? Then stop raising America’s children on sexually explicit media. Do you really want to help turn the corner on school-shootings? Then stop shooting violent film and television into our kids’ veins. That won’t completely solve the problem because this isn’t a one-layer problem. But it would certainly create a good-faith contribution to the discussion. A majorly huge contribution. And since I fully expect Hollywood to continue to turn a deaf ear to any suggestion that they look in the mirror, let’s make them. What do you think the people in the C-suites of entertainment companies would do if the 80 million people who claim to be Jesus-followers in this country simply stopped buying tickets to movies or recording television programming that glorified violence, diminished the value of life, or disrespected what the Bible says about human sexuality? Greedy people only hear what their wallets tell them. Only Jesus will put an end to abuse and violence. But, in the meantime, Hollywood, do you really want to turn a corner on sexual abuse? Then stop raising America’s children on sexually explicit media. Do you really want to help turn the corner on school-shootings? Then stop shooting violent film and television into our kids’ veins. If this is our country, then I suggest we just put those people out of business ourselves, along with a game industry who are training our children to point-and-shoot about 5,000 times a day. Let me be clear. I believe that certain weapons should be managed much more carefully. But, that aside, what so many of these kids have in their heads is the reason they put weapons in their hands. If authorities are part of the problem, then let’s have that discussion. But we can do more. We can stop worrying about what everyone else isn’t doing and get in the game ourselves. Pray hard for Parkland, Florida. Pray consistently for all of our kids. And spend more time in conversation with your family than you do posting for people who matter less. It’s never hopeless because God’s people are never helpless. Tom has been in pastoral ministry for almost forty years. He received his formal education at Biola University and Talbot Theological Seminary. 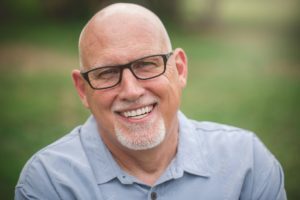 For the past thirty-four years, he has been the Senior Pastor and primary teacher at the High Desert Church of Victorville in Southern California. During that time the church has grown from 125 to over 12,000; from one campus to four and has been featured in a number of publications including the New York Times. He is the author of the books, 8 to 15, The World is Smaller Than You Think and Common Sense Is the New Brilliance. Tom and his wife, Sheryl, have been married for thirty-eight years. They have three grown children and nine grandchildren.